The American Alligator is indigenous only to Southeastern United States, available as both farm raised and harvested from the wild. Its skins are prized for their incredible quality and texture. Along with crocodiles and caimans, the American alligator is part of the Crocodillian family and protected by US Laws and CITES agreements. The longer these animals are on the farm and the larger they become, they require more food and care. A 2.5 year old alligator will eat 2.5 times what they did the previous year. A more mature animal also becomes more aggressive and has to be separated to an individual pen or grow room. 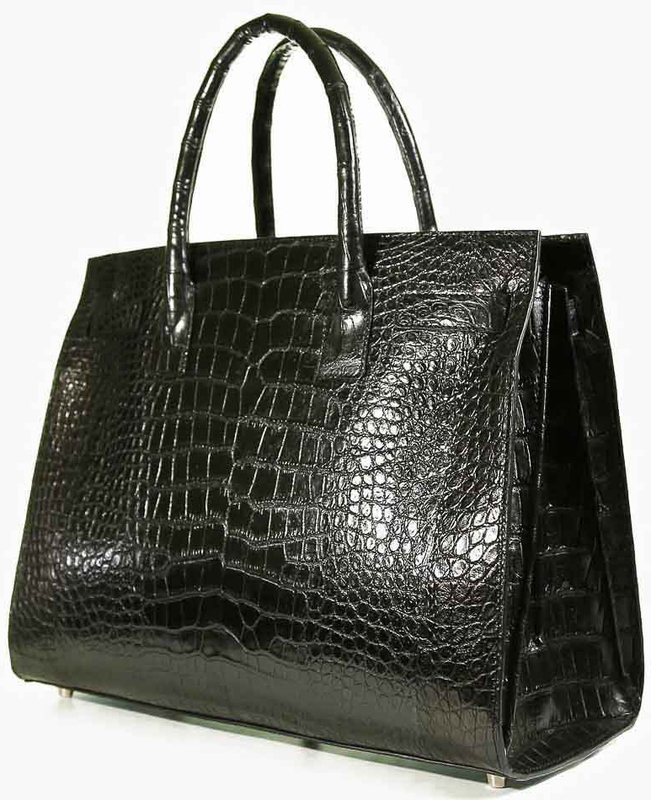 Increased demand also raises the price: a 40 – 44cm hide is the perfect size for a 16″ wide handbag which drives the price up. Farmers have to wait 3 years to raise an animal and produce a finished skin this large, thus driving the prices higher. One of the most distinctive characteristics of these animals is their snouts. Alligators have wide, U-shaped noses. Crocodiles (except the Indian mugger species) have narrow, pointed, V-shaped noses. The differences in snout shape are because of the kind of prey they eat. Alligators’ flat snouts make it easier to crush the hard shells of their favorite foods: turtles and snails. The pointed snout of the crocodile helps it to catch fish. Fish can make up 70 percent of a croc’s diet. Commercial development and international trade in previously-endangered species such as crocodiles must satisfy the criteria of the convention on International Trade in Endangered Species of Fauna and Flora (CITES). Commercial farms must be able to demonstrate a viable second generation progeny for the species. Ranching programs must operate under an Approved Management plan that must demonstrate, for a defined geographic area, that the impact of harvesting is not detrimental to the species. Alligators have been on earth for more than 65 million years. Alligators were here when dinosaurs roamed the land and have remained almost unchanged since then. Being reptiles, alligators are cold-blooded. They lie motionless for lengthy durations, but move swiftly to hunt both on land and in water. An alligator relies on its large and incredibly strong tail for mobility in water. Like all crocodillians, they also have four short legs with webbed back feet. 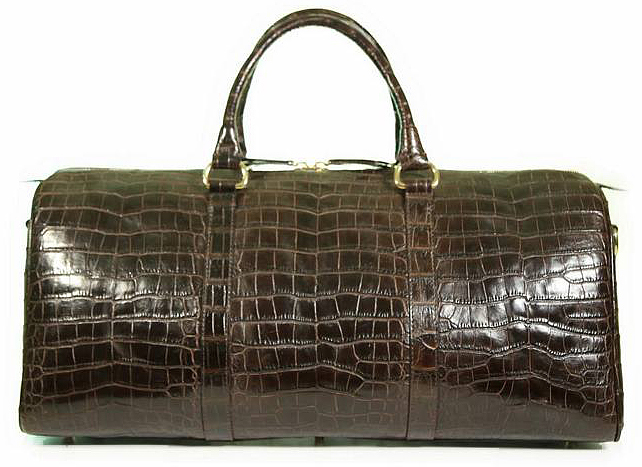 Alligators have very tough skin, usually a dull gray or deep olive in color. They are often mistaken for logs floating in the water. 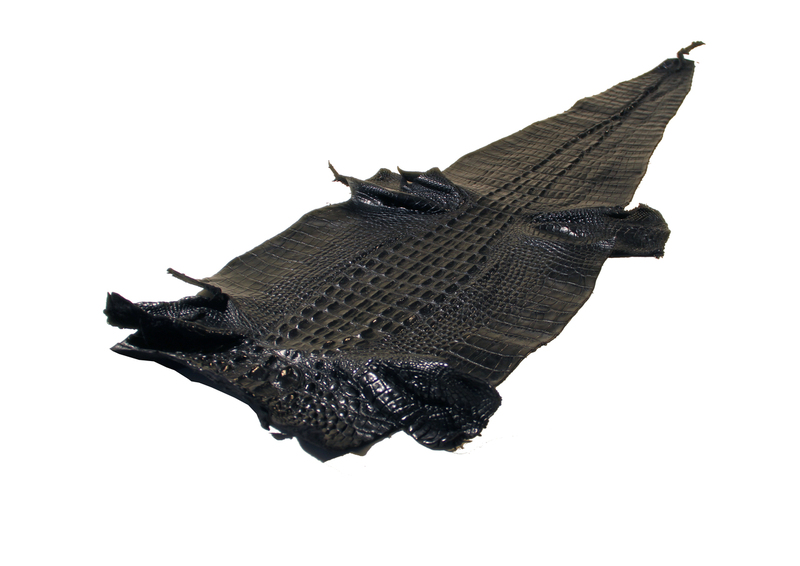 The bony plates within the skin give the alligator’s body an “armored” look. Conservation and educational farms (often called banks or rehabilitation projects) aim to breed several species of crocodilians in captivity for possible release back into protected areas in the wild. Primary income comes from tourism and/or grants from local governments and conservationists, not from the sale of skins. Other farms, which received original stock from a variety of sources but which, through captive breeding, have a closed, sustained system for supplying skins to the trade, derive their primary income from skin sales to the trade, although they may also derive some income from tourism. Today, there are about two hundred alligator farms in the United States. The ongoing reintroduction of captive-bred young into the wild has enabled the comeback of a species near extinction in the 1970s and has become a wildlife conservation success story.